Mofakhkharul Bari has a brilliant academic carrier who secured distinction in Secondary School Certificate (S.S.C) and Higher Secondary Certificate (H.S.C) with star marks. After finishing Higher Secondary Certificate from Dhaka College he was admitted in Chittagong Medical College, but by this time he was awarded a Soviet Government Scholarship in 1975 and graduated from Kiev Medical Institute (Kiev, the Soviet Queen City, the capital of Ukraine) in 1982 and completed his Master of Orthopaedic Surgery (MS) in 1984. Coming back to his native land he joined Government service in May 1986 and was posted as consultant orthopedics in 200 bedded hospital near Dhaka, Narayangonj. In February 1991 he joined in Leprosy Control Institute and Hospital, Mohakhali, Dhaka in the department of Orthopaedics and Reconstructive Surgery. By this time in September 1991 he has been awarded Ph.D. Scholarship in Tashkent Scientific Research Institute of Orthopaedics and Traumatology under the guidance of Professor B.M. 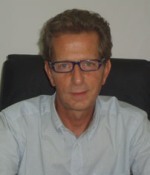 Mirazimov, Ph.D; D.Sc who was the Director of the Institute. 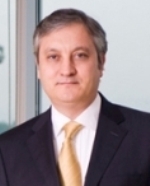 He completed Ph.D. in March 1995 and did Post-Doctoral Fellowship on Ilizarov Technique in Tashkent Scientific Research Institute Orthopaedics and Traumatology. For seven years and seven months he worked in 30 bedded Government Leprosy Hospital in the department of Reconstructive Surgery with the disabled and did more than seven hundred surgeries in claw hand deformities and drop foot deformities and nerve decompression including ankle and wrist arthrodesis. 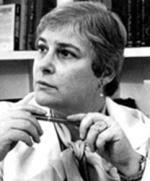 He did Post-Doctoral fellowship on Ilizarov Technique in Kurgan for three times and Volkov-Oganesyan Fellowship in May 2003 in CITO (Central Institute of Traumatology and Orthopaedics), Moscow. He attended different workshops and deformity corrections in Miraj, India 2003 and in Goa, India April 2005 which was conducted by Professor Dror Paley of Maryland, USA and in Tashkent October 2005. Md. Mofakhkharul Bari did his fellowship in Leprosy Reconstructive Surgery in 1997 in SLRTC (Shiefflin Leprosy Research and Training Centre), Chennai, Tamil Nadu under WHO scholarship. He joined in Mymensingh Medical College and Hospital in September 1999 as Assistant Professor in the Department of Orthopaedics and Traumatology and served there for near about five years. He has published 27 papers in International and 40 National Journals of repute which gained tremendous admiration from the relevant professional quarters. He has been presenting scientific papers in International and national conferences from time to time. 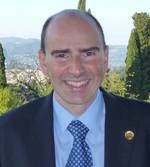 Since 2005 he is delivering lectures in different International conferences as a faculty. He was closely associated with Professor E.T. 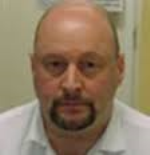 Sklerenko Ph.D, D.Sc of Kiev Scientific Research Institute of Orthopaedics and Traumatology, Professor B.M. 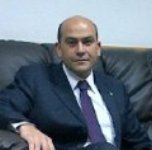 Mirazimov Ph.D, D.Sc of Tashkent Scientific Research Institute of Orthopaedics and Traumatology, Professor Mirhakim Azizov (Director, Tashkent Scientific Research Institute of Orthopaedics and Traumatology), Professor O.V. Oganesyan Ph.D. D.Sc of CITO, Moscow, Professor Dror Paley, MD, FRCSC of Florida, USA, Professor M. Catagny of Italy, Professor G.S. Kurlkarni of Miraj, Professor H.R. Jhunjhunwala of Mumbai, Professor M. Shah from Bangalore, India. In February 2004 he joined in NITOR (National Institute of Traumatology and Orthopaedic Rehabilitation), Dhaka as Associate Professor and worked as Unit Chief in the department of Limb Lengthening, Deformity Correction and Reconstruction Unit by Ilizarov Technique. He served in NITOR till November 2013 for more than ten years. Professor Dr. Md. 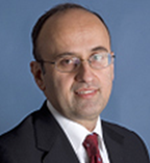 Mofakhkharul Bari has been awarded the most dignified degree as “Honored Professor” in 14th June 2013 in Kurgan Ilizarov Centre in Russia, the largest Orthopaedic Institute in the world, symbolizing the globally reputed medical Scientist (Orthopaedics) in recognition to his outstanding professional expertise. This great honor conferred on Dr. Md. Mofakhkharul Bari is an iconic image of Bangladesh. This outstanding achievement is a professional milestone in the Orthopaedic arena. Now he is also the Honorary Professor in NITOR, Dhaka, Bangladesh. 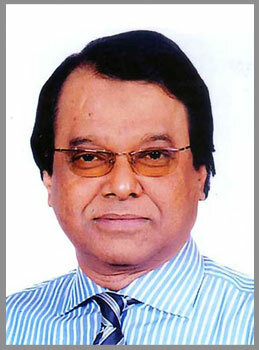 He is the Chief Consultant and Professor of a private BARI-ILIZAROV Orthopaedic Centre in Dhaka consisting of 40 beds. He has published 6 books on Ilizarov technique till today which are globally reputed- 1. Management of Pes equinus, equinocovus and CTEV deformities by G-A Ilizarov technique, August 2006. 2. Instruction for Ilizarov patients, Living with an Ilizarov ring/frame, December 2012, 3. A color atlas of limb lengthening, surgical reconstruction and deformity correction by Ilizarov technique, 1st edition October 2013, 4. Correction of leg deformities and restoration of function of leg bones by Ilizarov technique, 1st edition June 2014. 5. Correction of leg deformities and restoration of function of leg bones by Ilizarov technique, 2nd edition June 2015. 6. Ilizarov (Compression-Distraction) method in Paediatric Orthopaedics, 1st edition, January 2016. Limb Lengthening, Surgical Reconstruction and Deformity Correction. 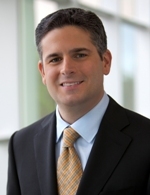 The Rhode Orthopedic Group was started by Blair Rhode, in 2010. 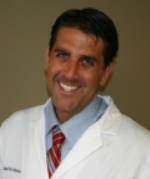 He is a fellowship trained sports medicine orthopedic surgeon that saw an opportunity in providing quality, stable technologies to the orthopedic community. Many companies feel that they need to charge more for their products in order to continue to develop new products for orthopedists. Products that have long lost their intellectual mark-up (patent value) continue to demand inflated prices under the auspice of funding future products. They feel that this form of cost shifting is incorrect. Products that are innovative should command top dollar. When they become stable, the savings should be passed along to the consumer. This is what happens in all other industries. This allows more people to reap the benefits of these technologies. This is fair. R?G is an EcoOrtho® company. Their goal is to provide ecological and economical solutions to the orthopedic community. They realize that medicine is one of the great polluters and much of this is due to the single use, disposable mentality of medicine. By utilizing reusable inserters, we can remove up to 95% of the waste involved in implant insertion. There are 3 ways that they achieve their goal of lowering costs. One is by our environmentally conscious approach. Second, we utilize stable technologies that have exhausted their intellectual mark-up. Third, and most importantly, they connect the manufacturer directly to the hospital or surgery center.Their goal is to return to the hospital what they used to manage but what they long gave away to the industry. The industry has created a sense of dependence on the sales rep model by allowing them to control inventory and equipment via a consignment model. When the hospital or surgery center again becomes an owner, they will regain control and be able to benefit from this model. Once the sales rep is removed with all their costs, the hospital can begin to look at implants from a cost/quality perspective- and reap the benefits. Hip Surgery:He have been performing hip replacements, both primary and revisions, since 1996 and performing Birmingham hip resurfacing for young patients. He also deal with hip pain for younger patients with no joint arthritis; He also deal with hip arthroscopy and mini-open hip labral repair since 2006 for hip sport injuries. He performed more than 300 cases with a very good outcome. Knee Surgery:He has been performing total knee replacements since 1996; both cemented and uncemented prostheses with various systems. He has considerable experience of using the uni-compartmental replacement and developed skills in corrective and arthroscopic knee surgery. Currently He is about to use mini arthroplasty approach. 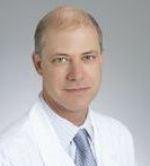 He also have a good experience in knee arthroscopic surgery since 1995.